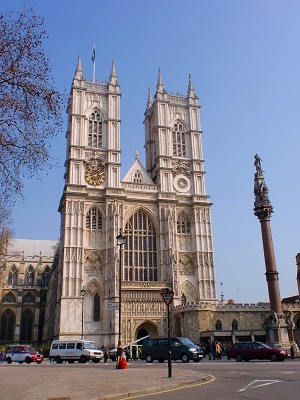 Westminster Abbey is steeped in more than a thousand years of British history, its origins were a small Benedictine monastery founded under the patronage of King Edgar and St Dunstan around 960 A.D. This monastery Edward chose to re-endow and enlarge, building a large stone church in honour of St Peter. This church became known as the “west minster” to distinguish it from St Paul’s Cathedral (the east minster) in the City of London. The remnants of Edward’s monastery can be seen in the undercroft and the Pyx Chamber in the cloisters. The Abbey has been used for coronation’s since 1066 and is the final resting place of seventeen monarchs. 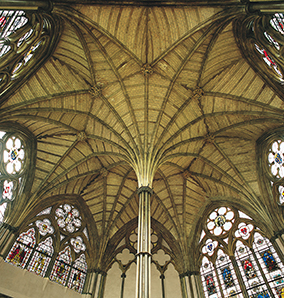 The present church, begun by Henry III in 1245, is one of the most impressive Gothic buildings in the country. 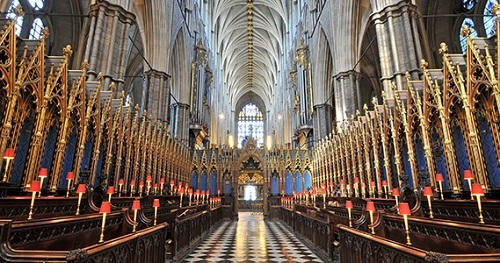 Every monarch since William the Conqueror has been crowned in the Abbey, with the exception of Edward V and Edward VIII who were never crowned. Henry III was responsible for building a magnificent tomb for Edward the Confessor. Remarkably this shrine survives and around it are buried a number of medieval kings and their consorts including Henry III, Edward I and Eleanor of Castile, Edward III and Philippa of Hainault, Richard II and Anne of Bohemia and Henry V.
It also has been the scene of more recent historical visits when in 2010 Pope Benedict XVI became the first Pope to visit the Abbey. 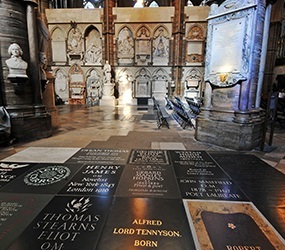 The Abbey contains over 600 monuments and wall tablets and is the resting place for over three thousand people. One of most important graves is the Unknown Warrior which has become a place of pilgrimage, often visited by Heads of State . 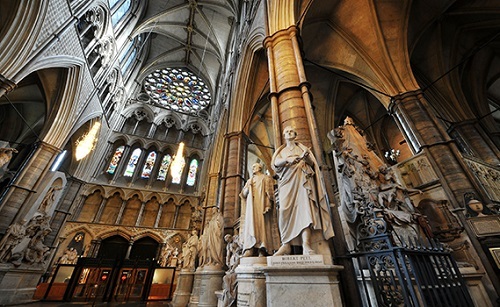 Westminster Abbey houses a large number of paintings, stained glass, pavements, textiles and other artefacts and has a large number of tombs and memorials that pay homage to many of the nation’s great and good. Westminster Abbey is unusual because it is neither a cathedral nor a parish church, Westminster Abbey (or the Collegiate Church of St Peter, Westminster to give it its correct title) is a “Royal Peculiar” under the jurisdiction of a Dean and Chapter, subject only to the Sovereign and not to any archbishop or bishop. One of the most famous objects in the Abbey is the Coronation Chair which was made for King Edward I to enclose the famous Stone of Scone, which he brought from Scotland to the Abbey in 1296. . Every monarch has been crowned in this chair since Edward II in 1308, except Edward V and Edward VIII, who were not crowned. 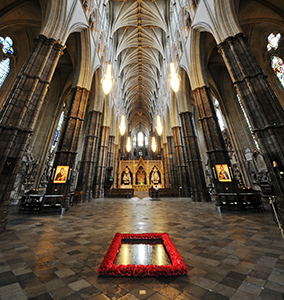 The Westminster Abbey Annual Pass will allow you to visit as often as you wish during public opening hours. It is valid for a 12-month period from the date of purchase.